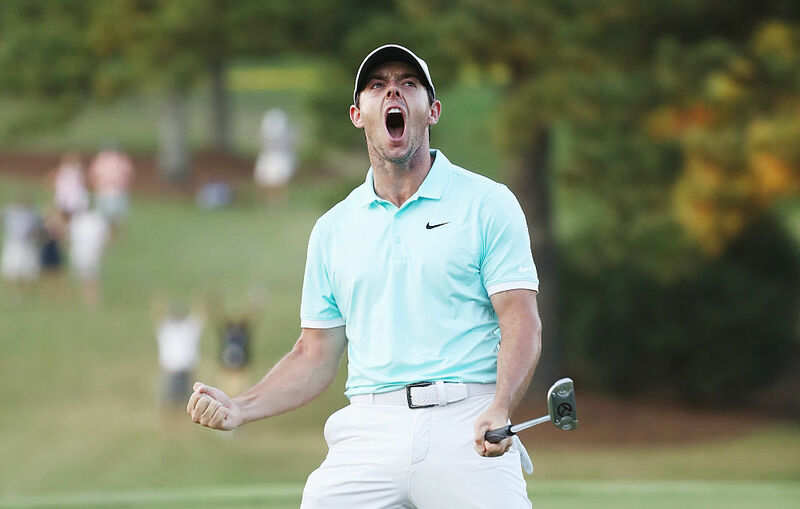 On Sunday, Rory McIlroy staged an epic comeback to win the PGA Tour Championship in Atlanta. More importantly, the win sealed his victor of the FedEx Cup – the PGA's season long points race. Winning the FedEx Cup is one of the highest honors golf has to offer. The Northern Irishman found himself down by three shots with only three holes to go before hitting an iconic eagle from 137 yards out to keep himself in the game. He sank a birdie on the final hole to finish the round with a 64. Ryan Moore and Kevin Chappel each had a birdie putt on the final hole to win the match, and both missed. Then, finally, after four long playoff holes, McIlroy hit a fifteen foot birdie putt on hole 16 to win the match, and at the same time take home the FedEx Cup. Dustin Johnson controlled his own destiny coming into the tournament. Had he been able to pull off a victory, he would have won the FedEx Cup. He also would have won the Cup had Moore or Chappel been able to finish off McIlroy. It was not his day, however, as he came away with a three over 73 and lost his grip on the FedEx Cup. Prior to September, McIlroy didn't have a single win all season. He was able to take home the Deutsche Bank Championship three weeks ago, and then the Tour Championship on Sunday. It was only a couple months ago that he missed the cut in the U.S. PGA Championship, which cast some doubt on his season. "I feel my game is really coming together at the right time, and two wins in the last three feels pretty nice," said McIlroy. In winning the Tour Championship, he took home the $1.53 million prize purse. But even bigger is the $10 million that he won for sealing the FedEx Cup victory. That makes for an $11.53 million payday! Not bad for a guy who hadn't won until three weeks ago. Pro-golfer Rory McIlroy has a lot to smile about. He's newly married and he's inked a massive new equipment deal with Taylormade.